Beef burgundy, marinaded since yesterday. What a mess it was. So, we have different chefs for different practicals, some are more lax, some are more strict, they each have their individual teaching and grading styles. We had a different chef today, whom we had not worked with. He was like a drill sergeant, and I kind of liked it. 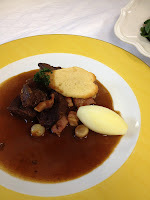 Well, so my beef burgundy. The sauce was too thick, I had not added the stock and wine mixture fully. Chef said it broke his heart. 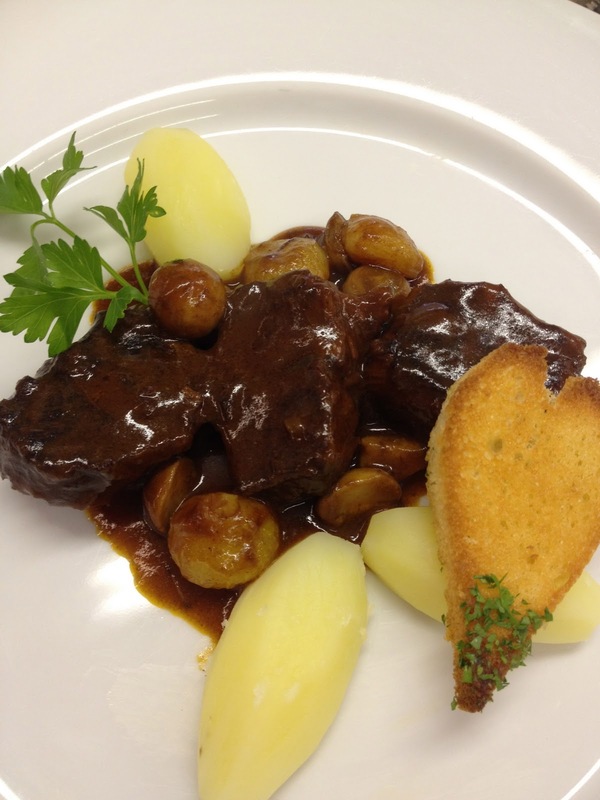 Yes, my beef burgundy broke his heart. I told him it had already broken mine. In all honesty, I enjoyed the flavor, just hated that chef didn't like it. He said I added too much tomato paste. I had a little more success turning the potatoes today because he allowed us to not have exactly 7 sides to it. I made mayonnaise today. How about that? It went with the deep fried jumbo shrimp with tartare sauce. It is WORK to whisk that thing! The shrimp's batter was too thick, per chef. I also needed more herbs in my tartare. He said it was "good." C'est bon. When will it be "parfait" or "magnifique?" Even a "tres bon" would be great. Well, I'm not there to be perfect, I'm there to learn. 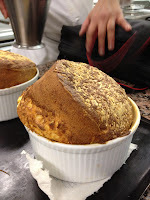 My cheese soufflé, demonstrated early in our training, we had to make. Of course that demonstration seemed like months ago. 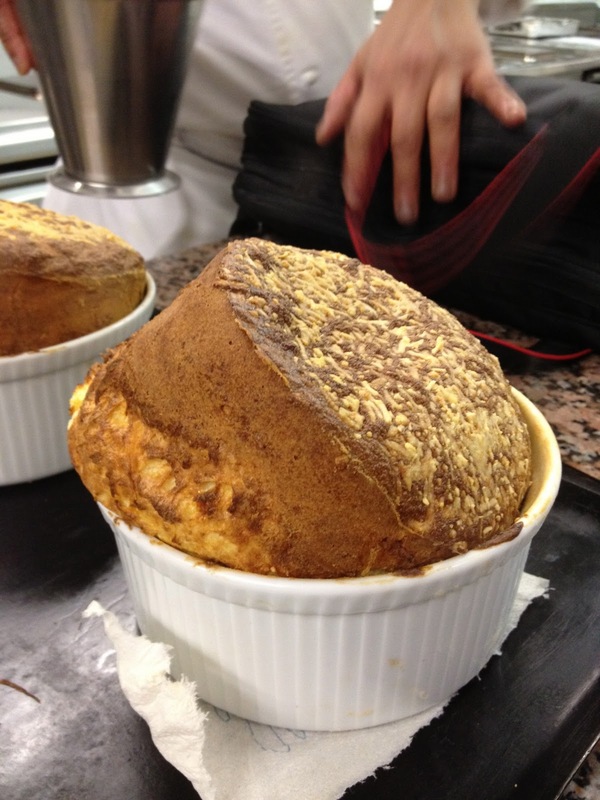 My soufflé ended up trying to escape. Tomorrow we have 2 demonstrations and 2 practicals. 12 hour day.